NORWICH - Maria Antonia White Sullivan passed away late Monday night, November 23, 2015, at Valley View Manor Skilled Nursing and Rehabilitation Center in Norwich. She was 96 years old. Of Spanish, Puerto Rican and English ancestry, Maria was born May 16, 1919, in Portsmouth, New Hampshire. Her father, Edgar Ralph White, was of English descent, and her mother, Mercedes Antonia Bruna y Feliciano, was born in Humacao, Puerto Rico, from ancestors of Spanish and Puerto Rican descent. On February 15, 1942, Maria married Joseph P. Sullivan. They shared 36 years together until his passing on January 10, 1978. Maria devoted much of her early years to caring for her family and home. Later on she worked for the Orange County Office for the Aging. This was the first agency of its kind in New York State and Maria was present at its inception. She moved to Miramar, Florida, in 1980 to care for her parents until their deaths in 1982. Maria was a woman of great faith and taught Sunday School at St. Stephens Parish for many years. She later retired to Unadilla where she lived with her daughter. For the past five years she resided in Norwich. In addition to her husband, Maria was predeceased by both of her children, Edgar P. Sullivan (2009) and Katherine Mary Sullivan McAllister Lewis (2012), as well as sons-in-law Henry E. McAllister (1981) and David F. Lewis (2014). She was also predeceased by her brothers Charles and Preston White and her sister Mercedes Mingus. Maria is survived by her daughter-in-law, Gloria Sullivan; her six grandchildren, Marylouise Dygert and husband Kevin of Middlefield, Tracy Gonzalez and husband Willie of Plattekill, Joseph E. Sullivan and wife Lisa of Delaware, Patrick Sullivan of Middletown, Maria Sullivan of Brooklyn and Nicholas Sullivan of Highland; seven great grandchildren, Christopher Dygert, Rebecca Morgan, Edward Gonzalez, Joseph A. Sullivan, Dustin Plimley, Brandon Plimley, and Ray Sullivan; a great great grandson, Zachary Morgan; and many nieces and nephews. Maria will be laid to rest with her parents in the Garden of Meditation at Hollywood Memorial Gardens in Florida. ONEONTA - Paul William Berg, 77, died Saturday morning, November 21, 2015, at Focus Rehabilitation and Nursing Center at Otsego. Born August 20, 1938, in Jamaica, Queens, Paul was a son of William and Minerva Berg. He married Florence Allman on September 25, 1959, in Virginia. For many years he was employed as a draftsman for Grumman Aerospace Corporation in Bethpage, where he assisted in designing aircraft parts. Approximately 10 years ago, Paul and Florence moved to the Laurens area. Paul is survived by his beloved wife of 56 years, Florence; their two daughters, Barbara Rodriguez and her husband, Phillip, and Carol Heller and her boyfriend, Tom Pagillo, all of Hartwick; five grandchildren, Phillip Rodriguez, Jr. and fiancé Amber Hill, Michael Rodriguez and girlfriend Stephanie Ringel, Joseph Heller, Jr. and girlfriend Erin Fields, Vincent Heller and Justin Heller; three great grandchildren, Avril and Aiden Heller and Hayden Hill; and his new great granddaughter that will be born in February 2016. A Funeral Service will be offered at 12 Noon on Friday, November 27, 2015, at the Connell, Dow & Deysenroth Funeral Home, 82 Chestnut Street, Cooperstown, with the Rev. David Wm. Mickiewicz, pastor of St. Mary's Roman Catholic Church in Oneonta, officiating. CANAJOHARIE - John Peter Woods, Jr., passed away at his farm November 8, 2015, where he resided for the last 45 years. Those who wish to remember John with a memorial gift may do so by making a donation to the American Cancer Society, 1 Penny Lane, Latham, NY 12110 or St. Mary's Healthcare Foundation, 427 Guy Park Avenue, Amsterdam, NY 12010. COOPERSTOWN - Mrs. Elinor H. Pollock, 87, of Cooperstown, passed away peacefully Tuesday, November 3, 2015, at Bassett Medical Center in Cooperstown, surrounded by her family. A native of Massachusetts, she was born April 16, 1928, in Beverly, youngest daughter of Maurice and Ruth (Pedersen) Hopkins. After graduation from high school, she studied at the New England Deaconess Hospital School of Nursing in Boston. Following her training, she stayed on to work at the Deaconess, and there met her future husband, Donald O. Pollock, while he was working his way through medical school. They were married June 7, 1953, at the First Baptist Church of Beverly. The Pollocks first came to Cooperstown in 1955, when Don served his internship and residency at Mary Imogene Bassett Hospital. There followed a period of military service, which took the family to a succession of postings, including 2 1/2 years in Eritrea, East Africa. The Pollocks returned to Cooperstown in 1967. Devoted to her family and community, Elinor freely gave of her time and service. She enjoyed working with the Red Cross, traveling throughout the region as part of the bloodmobile staff. And as a breast cancer survivor, Elinor willingly reached out to many with a message of encouragement and hope. Perhaps most central to Elinor's life was her steadfast devotion to the First Presbyterian Church of Cooperstown, for it was there that she faithfully blended her love of family and God. 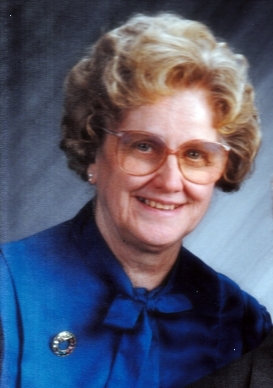 A member since1969, Elinor sang in the Chancel Choir, served in church leadership as a Deacon and an Elder, as Treasurer and Clerk of Session, volunteered as a Sunday School Teacher, was a member and/or chair of numerous committees over the years, and participated fully in the women's association. A generation of young people will remember Elinor as the one who prepared the food for the weekly Thursday school gatherings at the Presbyterian Church. In her leisure - and she did have some - Elinor enjoyed gardening, golf and playing Bridge. Before Alzheimer's Disease restricted her participation in those things she loved most, she excelled in exercising her gift of hospitality - making a meal, visiting a sick friend, arranging flowers from her garden, and sharing a smile. Elinor is survived by her beloved husband of 62 years, Dr. Donald O. Pollock, of Cooperstown; four children and spouses, Donabeth and Gil Urick of Bonita Springs, Florida, Peter and Diana Pollock of Cooperstown, Sally and Bud Zaengle of Greene, and Jim and Sharon Pollock of Georgetown; nine grandchildren and one great grandson, Philip Zaengle and wife, Amanda, and their son, Henry, Owen Zaengle and wife, Emily, Sam Zaengle and wife, Donna, Helen Zaengle, Jacob Zaengle, Karl Zaengle, Mary Zaengle, Laurel Zaengle and Benjamin Pollock; also many nieces and nephews. She was predeceased by her oldest son, the Rev. Stewart A. Pollock, and her siblings. A Memorial Service to the Glory of God and in Thanksgiving for the Life of Elinor H. Pollock will be offered at 2 p.m. on Saturday, November 14, 2015, at the First Presbyterian Church of Cooperstown, with the Rev. Elsie A. Rhodes, pastor, officiating. Following the service there will be a time for refreshment and fellowship in the adjoining Chapel. She will be laid to rest in The Columbarium in the Presbyterian Churchyard. For those who wish to remember Elinor through a memorial gift, her family respectfully requests that donations be made to the First Presbyterian Church of Cooperstown, 25 Church Street, Cooperstown, NY 13326. 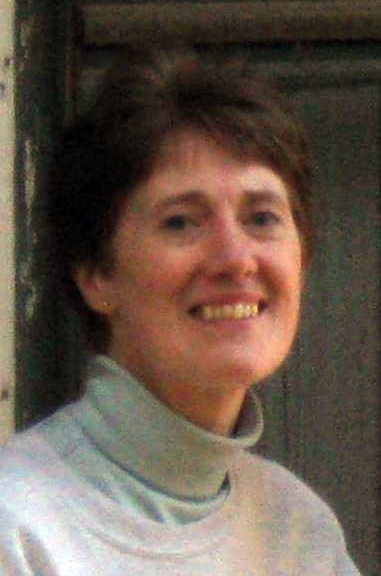 COOPERSTOWN - Arlene M. Woodin passed away Saturday morning, October 10, 2015, at A.O. Fox Nursing Home in Oneonta. She was 81. Born on July 23, 1934, in Marseilles, Illinois, Arlene Marie was the only child of Joseph and Lena née Veronda Viviani. 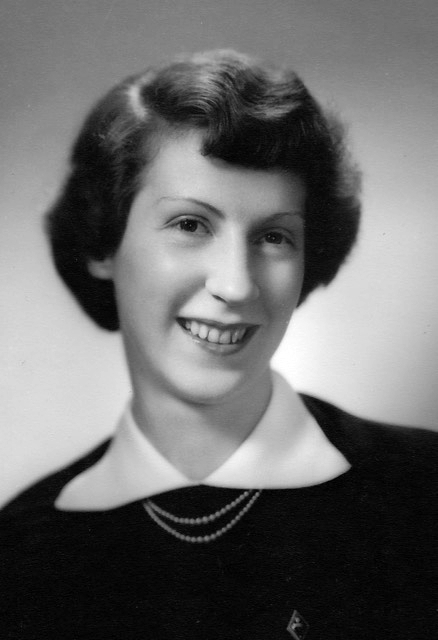 Following her graduation from Marseilles High School in 1952 she attended Illinois State Normal University where she received a Bachelor of Science in Education (Home Economics) in 1956. She married Ernest Donald Woodin on December 21, 1957, in their hometown of Marseilles, Illinois, and they settled in DePue where she worked as a home economics teacher. Her creative baking skills were recognized when she won a nationwide self-rising flour competition for her recipe for Lemon-Mace Crisps. After welcoming daughter Beth and son Alan, the family moved to Cooperstown for the first time in 1964. Ernie's career with AT&T took them back to Illinois in 1966 and later to Somerset, New Jersey. In March of 1972, the Woodins returned to Cooperstown where they settled on Elm Street. After their children graduated from high school, they made their home in the Town of Middlefield. During her years in Cooperstown, Arlene was employed at various times at Ellsworth and Sill on Main Street and in the library at the Mary Imogene Bassett Hospital. While she did not return to teaching, Arlene demonstrated her love of all things related to home economics through her sewing projects, home decorating, and experimentation with new recipes. Her family will fondly remember her as a wonderful cook and a great baker whose pies were the highlight of every holiday meal. Arlene is survived by two children, Beth A. Torruella and her husband, Reese, of Garner, North Carolina, and Alan J. Woodin and his wife, Allison, of Cobleskill; three grandchildren, Connor and Logan Torruella and Erika Marie Woodin; and numerous nieces and nephews. In addition to her parents, she was preceded in death on December 25, 2014, by her husband of 57 years, Ernest. The family would like to thank Dr. Dalton, Dr. Hills, Dr. Lone, and the nursing staff at the Bassett Cancer Treatment Center for their dedicated care and the staff at A.O. Fox Nursing Home and at Catskill Area Hospice who welcomed Arlene and gave her a safe and caring place to spend her final months. For those who wish to make a memorial gift in memory of Arlene, her family suggests that the following organizations be considered: Bassett Medical Center Cancer Treatment Center, 1 Atwell Road, Cooperstown, NY 13326 or Catskill Area Hospice and Palliative Care, 1 Birchwood Drive, Oneonta, NY 13820. Arrangements are under the care and guidance of the Connell, Dow & Deysenroth Funeral Home, 82 Chestnut Street, Cooperstown. MT. 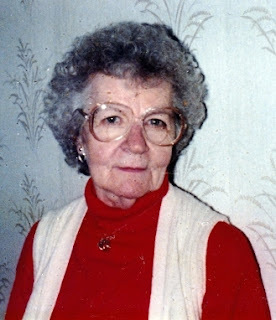 VISION - Laura Margaret Kane, 88, of Mt. Vision, passed away early Sunday morning, October 18, 2015, at Focus Rehabilitation and Nursing Center at Otsego. She was born June 27, 1927, in Barneveld, a daughter of John and Mary Irene (Barnes) Rowlands. At the age of five, she and her family moved to Edmeston, where she attended school in the Goodrich Schoolhouse. She later attended school in New Berlin, and graduated in 1945 from New Berlin High School. Laura then moved away from home to attend beauty school; however, she became homesick and moved back to New Berlin where she was employed for a year in the cafeteria at the New Berlin school. In 1947 Laura married Archie Ainslie and joined him in farming at the Ainslie homestead farm on Scotch Hill in Hartwick. During this time she also worked at Rosa Leone's Adult Home in Hartwick, as well as a store clerk in the grocery stores in the community. She was also a bus driver driving her station wagon off the hill with the Scotch Hill kids to Hartwick Central School and then to the Cooperstown Central School bus stop. She also worked for Opportunities for Otsego. In 1971 she joined her second husband Everett Kane farming at Kanemead Farm in Mount Vision. Her real joy was cooking and baking for others. In 1986 she opened Laura's Restaurant in Hartwick, where she served her homemade menu to the public for several years. Her Friday night suppers were enjoyed by all. Laura was an active community member. She was an American Legion auxiliary member, a 4-H leader, served on the Town Board, was a member of the Hartwick Cemetery Committee and a member of the United Methodist Church Hartwick. Laura is survived by her sister-in-law, Marge (Albert) Rowlands of Edmeston; her son Larry and wife Barbara Ainslie of Hartwick; her daughter Linda (Ainslie) and husband John Tuller of New Berlin; her son-in-law, Richard Twombly of Hebron (Amston), CT; and their children and families. Also surviving are her four step-children, Robert and wife Barbara Kane of Fly Creek, Ronald and wife Marilyn Kane of Mt. Vision, Rahlene and husband Mike Welch of Fly Creek, and Rodger and wife Fay Kane of Toddsville; and their children and families. Laura was predeceased by her parents, her brothers Robert (Jean) and Albert Rowlands, her husband Everett Kane and her daughter Gail (Ainslie) Twombly. Friends may call at the Connell, Dow & Deysenroth Funeral Home, 82 Chestnut Street, Cooperstown, on Thursday, October 22, 2015, from 10 a.m. until 12 Noon. Funeral Services will follow at Noon at the funeral home with the Rev. Richard Howard, pastor of the Hartwick United Methodist Church officiating. The Service of Committal and Burial will follow in Hartwick Cemetery. COOPERSTOWN - Mrs. Bridget M. Macaluso, 94, of Cooperstown, passed away peacefully Friday morning, October 16, 2015, at Chestnut Park Rehabilitation and Nursing Center in Oneonta. Born August 11, 1921, in Hoboken, New Jersey, on a tugboat, she was the daughter of Patrick and Rita (Patterson) Bracken. She met her husband Joseph Robert (Bob) Macaluso in the United States Navy and married him February 26, 1949, at the Church of St. Raymond in the Bronx. Bridget was a lover of books, mysteries, words, humor, and conversation. She was a strong believer in community service. A funny, witty, loving, supportive and generous mother, grandmother and friend, she was loved and revered by all who knew her. For many years she was employed as a secretary at the Franklin Delano Roosevelt Campus of the Veterans Administration Hudson Valley Health Care System in Montrose. A determined person, she earned her GED at the age of 62 and then earned an associate's degree in psychology. Bridget and Bob lived in Peekskill for over twenty years before moving to Cooperstown in June 1989. She was a communicant of St. Mary's "Our Lady of the Lake" Roman Catholic Church, was a member and past president of the Mary Imogene Bassett Hospital auxiliary, and volunteered at the Susquehanna SPCA. Following Bob's death on April 23, 2001, Bridget moved to Oneonta, where she lived with her daughter, Patrice for ten years and then moved to Cooperstown with her daughter and son-in-law Roberta and Tom. The last few years she lived at Hampshire House, and then Chestnut Park Rehabilitation and Nursing Center in Oneonta. Bridget is survived by four daughters, Jean Marie Macaluso of Kingston, Roberta Hohensee and her husband, Thomas, of Cooperstown, Patrice Macaluso of Oneonta, and Margaret Williams and her husband, George, of Saugerties; two sons, Alan Macaluso and his wife, Kelly of New Paltz and Brian Macaluso and his wife, Sari, of Kingston; eight grandchildren, Haley and Kyle Hohensee, Rebecca and Joseph Williams, and Sam, Ben, Theo and Charlie Schikowitz; and five great grandchildren, twins Cosmos and Hugh, Indio, Leone and Harper. In addition to her husband, she was predeceased by her 12 brothers and sisters, including Elizabeth, Mary, Peggy, Terry, Barney, William and John. Family and friends are invited to a memorial gathering to be held at the Connell, Dow & Deysenroth Funeral Home, 82 Chestnut Street, Cooperstown from 5:30 - 7:30 p.m. on Friday, October 23, 2015. As an alternative to flowers, please consider donating in memory of Bridget to the Susquehanna Animal Shelter, 4841 State Highway 28, Cooperstown, NY 13326 or Catskill Area Hospice and Palliative Care, 1 Birchwood Drive, Oneonta, NY 13820. 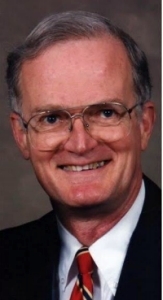 SCHENEVUS - Pastor Tom A. Gratton, God's faithful servant, went to meet his Lord and Savior early Tuesday morning, October 13, 2015, at Bassett Medical Center in Cooperstown. He was 80. Born October 9, 1935, in Pittsburgh, Pennsylvania, he was a son of James and Minnie (Ross) Gratton. Raised in Pittsburgh, he later moved to Rhode Island. Called to the ministry of his beloved Savior, Pastor Tom brought countless people to the Lord, including some who themselves became pastors. In 1973 he received his Master of Divinity from Southwestern Baptist Theological Seminary School of Theology. During his ministry he served churches in various places throughout the country, including Michigan and Texas. After serving the Spring Woods Baptist Church in Texas, he moved to the State of Maryland and for twenty-one years served as pastor to the First Baptist Church of Suitland, helping to grow what started as a small group of faithful Christians into the strong and vibrant congregation it is today. It was during his pastorate there that he presented his Doctor of Ministry thesis on strategizing an effective ministry in an urban, evangelical and racially integrated Southern Baptist Church. Dr. Gratton envisioned a totally new approach for ministry and commitment to being God's people on mission, and encouraged his colleagues to get excited about pastoring in multi-racial neighborhoods. He received his Doctor of Ministry from the Eastern Baptist Theological Seminary in 1989, and retired from full-time ministry in 1993. Throughout his years of ministry, he was accompanied by his first wife, Nancy A. Hall Gratton. They were united in marriage September 6, 1958, in Battle Creek, Michigan, and spent almost 50 years together until her passing on June 11, 2006. Tom later met Karen Ann Olmstead McMahon, a native of Cooperstown living in Virginia who had also recently lost her spouse. Karen and Tom were married January 12, 2008, in a ceremony at Mount Hermon Baptist Church in Spotsylvania County, Virginia. In 2010 they moved to upstate New York and Tom became a member and served as a supply preacher at the West Davenport Free Baptist Church and Stamford Baptist Church. Pastor Tom is survived by his loving wife, Karen A. McMahon Gratton, of Schenevus; one daughter, Rachael Moore of Tennessee; his faithful friend, Norma, whom he considered to be his daughter; two step daughters, Autumn Black Jewell of Orange, VA, and Stephanie Black of Middlefield; and several grandchildren, all of whom called him "Pops". He is further survived by two sisters, Judy Parfitt and Lois Bott; a sister-in-law, Kathleen M. Olmstead-Mummert; two brothers-in-law, Richard L. Statler and Keith D. Olmstead; and several nieces and nephews. In addition to his first wife, he was predeceased by two sisters, Betty DeJidas and Dorothy Mae Statler, and a brother, James "Jimmy" Gratton. Pastor Tom will be laid to rest with his first wife, Nancy, in a private graveside service in the Garden of Reformation at Trinity Memorial Gardens in Waldorf, Maryland. A memorial service will be offered at 2 pm. on Tuesday, October 20, 2015, at the First Baptist Church of Upper Marlboro, 7415 SW Crain Highway, Upper Marlboro, Maryland, with Rev. James L. Burcham, pastor, officiating. Locally, a memorial service is being planned for the near future, and will take place at the West Davenport Free Baptist Church, 211 Charlotte Creek Road, with Pastor Steve Estes, officiating. One of the people Pastor Gratton inspired to enter the ministry is Pastor Daniel Conrads, whose love of the Lord came from a seed planted by Pastor Tom. Not only did he become a pastor himself, Pastor Dan is now forming a new church. So in lieu of flowers, Pastor Gratton would be pleased if people would donate in his memory to Pastor Daniel Conrads for the benefit of the Richmond Church Plant, 1842 Valley Drive, Richmond, IN 47374. Your donation in memory of Pastor Tom will help grow this new church. COOPERSTOWN - Elaine Beck Schaeffer of Cooperstown passed away suddenly at Bassett Medical Center on Thursday evening, October 8, 2015. She was 62. Elaine was the loving wife of Charles and beloved mother of Scott and Elyssa. Born in Philadelphia, Pennsylvania, she was the daughter of Kenneth and Phyllis Beck. Elaine spent her early formative years with her family in Nice, France. She was educated at Abington Friends, a Quaker school in Pennsylvania from which she cultivated a lifelong respect for individuals and emphasis on equality, simplicity and integrity. During high school she spent a year abroad in Braunschweig, West Germany. Elaine attended Wagner College, graduating with a BA in German literature. She spent her junior year studying in Bregenz, Austria, where, among other interests, she took up skiing in the Alps. After college, Elaine worked for the interior fabric and design firm Brunschwig & Fils in New York City as the production coordinator, during which she traveled to and worked with mills and showrooms throughout Europe and the U.S.
Elaine was dedicated to the arts from a young age, studying piano and singing with a religious choir, including on European tours. She studied drawing at the Arts Students League in New York City and maintained a passion for exploring art museums in the U.S. and while traveling in Europe for work and visiting her children during their own study abroad sojourns. Elaine loved cooking and excelled at baking her famous carrot cake and unparalleled apple pie. Her smile would light up a room and could clear dark clouds from a rainy day. She volunteered for years at the Susquehanna Animal Shelter Better Exchange Thrift Shop and most recently worked for NYSHA at the Fenimore Art and Farmers' Museums in Cooperstown. Elaine enjoyed any opportunity to work on her gardening, spend time with her friends, cats and now departed chessie, Tessa, and work on crossword puzzles (always written in ink pen, never pencil) among many other activities. A closet historian and member of the Daughters of the American Revolution, Elaine was also a member of the Captain Cook Society and enjoyed reading about the adventures and discoveries of her ancestor James Cook, among other explorers. A caring and dedicated mother and wife, Elaine was very loved and will be missed more than words can convey. In addition to her husband and children, Elaine is survived by extended family members and friends who will miss her dearly. Friends and relatives are invited to Elaine's memorial service at 5 p.m. Thursday, October 15, 2015 at the Connell, Dow & Deysenroth Funeral Home, 82 Chestnut Street in Cooperstown. A private burial service will be held Friday. In lieu of flowers the family asks that donations in Elaine's name be made to the Susquehanna Animal Shelter, 4841 State Highway 28, Cooperstown, NY 13326. http://susquehannaanimalshelter.org. COOPERSTOWN - On August 16th, 2015, Dr. Gary Seamans Dunbar, Professor Emeritus of the University of California at Los Angeles, died peacefully at Bassett Medical Center in Cooperstown at the age of 84. At the time of his death, Dr. Dunbar had been a resident of Cooperstown for twenty-seven years, moving here after retirement from the Department of Geography at UCLA. His first introduction to Cooperstown had been in 1952 when, as a graduate student at the University of Virginia, he came to the area to research the cultivation of hops for his Master's thesis and was captivated by the village, Otsego Lake and the surrounding countryside. Gary Dunbar was born June 8th, 1931, in Clifton Springs, the son of Alvin Robert and Esther (Seamans) Dunbar. 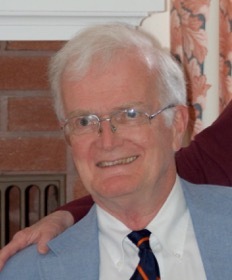 After graduating from Avon Central High School in Avon in 1948, Gary attended the University of Virginia where he earned a Bachelor of Arts with Distinction in 1952 and a Master of Arts in 1953. He was elected to Phi Beta Kappa (1952), Phi Eta Sigma (1949) and Phi Kappa Phi (1956) honor societies. On April 4th, 1953, he married Elizabeth Tighe in Rochester. In 1956, at the age of twenty-four, he earned his Doctor of Philosophy from Louisiana State University and embarked on a career of teaching and scholarship in the field of Geography. After a year teaching at Longwood College in Farmville, Virginia (1956-1957), Dr. Dunbar accepted a teaching position at his alma mater, the University of Virginia, where he taught from 1957-1967, rising to the rank of Associate Professor and serving as Chairman of the Department from 1963-1967. While associated with the University of Virginia, he spent a year at the University of Dacca, East Pakistan (now Dhaka, Bangladesh) as a Fulbright Senior Research Scholar. He also taught for two years at Ahmadu Bello University in Zaria, Nigeria (1965-1967). Returning to the States in 1967, he accepted a position as a Visiting Associate Professor of Geography at UCLA and continued to work there until his retirement in 1988, earning the rank of Full Professor in 1970. Gary wrote nine books during the course of his life and published about 160 articles, notes and reviews, continuing to publish after his retirement. Endowed with an insatiable curiosity and desire to explore, Dr. Dunbar traveled widely throughout North and South America, the West Indies, Europe, Asia and Africa. He almost always included his wife, Elizabeth and their three children in his adventures. When the children were grown, he and Elizabeth continued to travel together. While living in Cooperstown, Dr. Dunbar served on the Editorial Board of the New York State Historical Association from 1997-2005, as President of Friends of the Library and enjoyed twenty-five seasons of the Glimmerglass Opera. He was a long time member of First Presbyterian Church of Cooperstown. His family and many friends will remember his integrity, generosity, intelligence, thoughtfulness, dry wit and quick sense of humor, amazing memory, deep and resonant speaking voice and his courtesy. He was a devoted husband, father and grandfather. He is survived by his beloved wife of sixty-two years, Elizabeth (Tighe) Dunbar; his three children, Emily Dunbar-Smith and her husband, Frederick Harold Smith, of Jackson, Mississippi, Elihu Sidman Dunbar and his wife, Maria de la Luz Joachin Palafox Dunbar, of Santa Fe, New Mexico and Esther Dunbar-Cullum and her husband, Peter James Cullum, of Sonoma, California; and four grandchildren, Tighe Elijah Dunbar, Katherine Elizabeth Dunbar-Smith and her fiancé, William Walsh George, Jesse Peter Dunbar Cullum and Esme Olivia Dunbar Cullum. He is also survived by his brother, Alvin Webb (Pete) Dunbar and sister-in-law Waynne Boyden Dunbar; his sister, Sara Dunbar Widlund; his sister-in-law, Jean Daniels Dunbar; and five nieces and nephews. He was preceded in death by his parents Alvin Robert and Esther (Seamans) Dunbar and by his brother, Bruce Rex Dunbar. The family is planning a memorial service for the Spring of 2016. Memorials may be made at this time, if you wish, to the New York State Historical Association, The Farmers' Museum, the First Presbyterian Church of Cooperstown or to the charity of your choice. Mailing addresses for the three organizations listed are as follows: New York State Historical Association, P.O. Box 800, Cooperstown, NY 13326; The Farmer's Museum, P.O. Box 30, Cooperstown, NY 13326; the First Presbyterian Church of Cooperstown, 25 Church Street, Cooperstown, NY 13326. COOPERSTOWN - A Memorial Service for Gary Seamans Dunbar (June 8th, 1931 - August 16th, 2015) will be held on Saturday, June 25th at 3:00 p.m. at the First Presbyterian Church of Cooperstown. In lieu of flowers memorials may be made to the New York State Historical Association, The Farmers' Museum, the First Presbyterian Church of Cooperstown or to a charity of your choice. FLY CREEK - A Memorial Service for Philip "Rooster" White Downs will be offered at 2 p.m. on Saturday, September 12, 2015, at the Connell, Dow & Deysenroth Funeral Home, 82 Chestnut Street, Cooperstown, with the Rev. Elsie A. Rhodes, Pastor of the First Presbyterian Church in Cooperstown, officiating. The Service of Committal and Burial will follow in Fly Creek Valley Cemetery in Fly Creek. Friends are welcome to pay their respects at the funeral home for one hour prior to the service. A native of Southampton on Long Island, Rooster spent most of his life farming, yet still found time to pursue his interest and love of car racing and the restoration of numerous antique autos, fire trucks, and tractors. More importantly he enjoyed life with his beloved wife of 36 years, Deirdre "Dee" Downs. 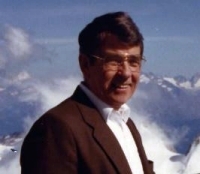 HARTWICK - Paul Edward Okarski, 89, a retired defense contractor employed for 37 years with Sperry Gyroscope Corporation, passed away Sunday evening, August 30, 2015, at Bassett Medical Center in Cooperstown, just three days shy of his 90th birthday. Born September 2, 1925, in Peabody, Massachusetts, Paul was a son of Frank Joseph Okarski and Anna née Krusciewicz Okarski and resided in Lynn and later Newton, Massacusetts. On August 11, 1942, Paul entered into active service in the United States Navy and proudly served his country during World War II as a Naval Aviator. Ensign Okarski received his Honorable Discharge from the US Navy on October 22, 1945. Following his military service, Paul attended Middlebury College in Vermont, and graduated with the Class of 1951 with a degree in physics. In July of 1951, he joined the Industrial X-Ray Division of Westinghouse as an Applications Engineer, but in September 1952 he began a career with the Sperry Gyroscope Company that would span four decades. Starting as a Field Engineer, he became involved with the Sparrow I missile program. Paul did on-site installation, checkout, calibration and operational activation of missile associated radar and ground support equipment, as well as in-plant contracts. He also served as a technical liaison between engineering and field support personnel. 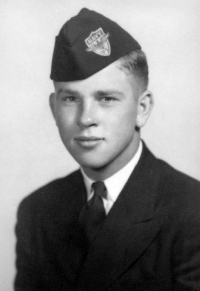 In June 1956, he became a Representative Associate for the Air Armament Division, and in August 1957, Paul was promoted to the Counter Measures Division of Sperry Gyroscope where as a Marketing Representative he was responsible for the contract administration of the $100 million B-52 airborne integrated countermeasures system. This equipment utilized high accuracy multiple jamming techniques, sophisticated receivers and flight test equipment and provided a new measure of protection for our superbombers of the era. In 1960 Paul advanced to Senior Marketing Representative of the Radiation Division where he was responsible for marketing and contract administration of the US Navy's TALOS missile program. In 1963, Paul became the Senior Marketing Representative for the Information and Communications Division of Sperry Gyroscope. He had overall responsibility for sales and contract administration of Anti-Submarine Warfare (ASW) Systems including submarine fire controls and state-of-the-art sonar systems, as well as the preparation and execution of market plans for sophisticated intelligence equipment. Through the 1970s and 1980s as Sperry Gyroscope became, though acquisitions and mergers, Sperry Rand, Sperry Univac, then simply the Sperry Corporation, Paul's responsibilities continued to grow. Elevated to Senior Overseas Contract Manager he travelled extensively world-wide, and was considered by his peers to be one of Sperry's top contract negotiators. He retired in 1989. Throughout, Paul was a dedicated and loving family man. Married in 1957 to Barbara E. Okarski, also employed by Sperry Gyroscope, they had four children, all of whom have fond memories of vacationing in Florida where many now reside, as well as learning to ski and sharing may fun times on the slopes at Scotch Valley Ski Area in Stamford. Paul loved to be outdoors and enjoyed designing and building tree houses, doll houses, go-karts and even a backyard ice skating rink for his children and grandchildren. He loved a long road trip by car, a good grilled steak, and growing the best tomatoes. He paid attention to detail and believed any job worth doing was worth doing well. He imparted much wisdom to his family including having pride in our country, being happy, not worrying, and being brave. He was a man of science, who valued education, and was happy to share his knowledge with his family. He cared for us, participated in our lives, and made us better people. In his retirement, Paul built his dream house in Stamford, and enjoyed a relaxed lifestyle while skiing throughout New York and New England until the age of 82. Most recently, he made his home with his youngest son, Steven, in Hartwick for the past five years, and enjoyed all of the comforts of home and the benefits of the life he worked so hard to build. Paul is survived by his four children; Lawrence Paul, Carol Ellen, and Scott Edward and his wife, Kristen, all of Ormond Beach, Florida, and Steven Edward of Hartwick; their mother, Barbara, of Port Orange, Florida; four grandchildren, Brian, Jason, Kelli and Abby; two nieces, Christie Lyons-Otto and her husband, Luther, of Athol, Massachusetts, and Mary Lyons of Paris, France; and two nephews, Joseph Lyons of Boston, Massachusetts, and David Okarski and his wife, Diane, of Los Angeles, California. He was preceded in death by a granddaughter, Anna Elizabeth Okarski, and all of his siblings; Edward Okarski, Helen née Okarski Lyons and Joseph Okarski. The Okarski family received friends on Saturday, September 5, 2015, from 1 until 3 p.m. at the Connell, Dow & Deysenroth Funeral Home, 82 Chestnut Street, Cooperstown. A brief prayer service concluded the visitation, with the Rev'd Paul R. Messner, pastor of Evangelical Lutheran Church in Hartwick Seminary, officiating.